I recently returned from a 7 day backcountry mountain biking trip in Colorado and Utah with six delightful women. It was truly an adventure- just us ladies with minimal personal items as we had to carry everything on our bikes and backs. We were out in the wilderness with no cell coverage or internet so phones served only as cameras and for an entire week there was no calling kids and family, no email, no texting, and definitely no Facebook! We were truly off the grid and disconnected. And a fabulous thing happened during the trip----we all really connected. I didn’t know most of these women prior to the trip, and signing up to do an intense week of travel with 4 strangers appeared to be a huge leap of faith. Yet as we rode up to 12,500 feet on that first day over a mountain pass- all of us huffing and puffing and wondering if our lungs might explode- we quickly became a team, supporting and encouraging each other. Through long days in the saddle and cozy nights in tiny huts, we shared many laughs and stories; by the end of the trip we were confessing more about our private lives (and private parts) than we all have in decades! Without the distractions of life and technology it was easy to give each other the time and the presence to connect and get to know each other. This experience with six unique women --each with different backgrounds-- also revealed how similar we are in our base desires and needs. When we’re disconnected and looking at people on the surface through a superficial lens, it’s easy to assume we are so different. But strip everything down to the basics and we are all one. After many long days on our bikes together I only saw the things that we all need…shelter, sustenance, love and support from others. 1. Turn off your devices. Next time you meet up with a friend or colleague, put your phone away and give them your full attention. Listen with intention and see if you learn something new. 3. Find something in common. Notice your own internal dialogue. Are you always looking at how people are different than you? My grandfather, a practicing surgeon into his mid-70s, once told me a secret to his success: he always tried to discover at least one thing he had in common with each patient who came through his door. His advice has stayed with me over the years and reminds me to do the same in my work and personal life. Let me know how you connect! Have you noticed that people talk a lot about being busy? It's pervasive. And, it's as if it has become a badge of honor, a status symbol. There really does seem to be more to do, more email to check, more events to attend, more activities to schedule, etc. And yet, there is something more to this. It's as if we have decided that we are only valuable if we are busy and productive. Maybe it doesn't even matter WHAT we are doing, as long as we are always doing. 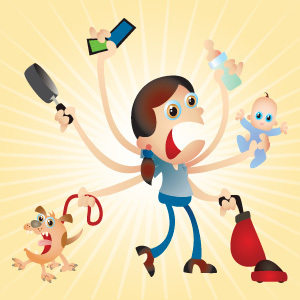 Being busy and telling people and ourselves how busy we are may actually be keeping us us from what we really need to be doing, that which will provide us with a genuine sense of belonging, connection, and self-worth. Is it possible that our real work is in getting less busy so we can be focusing on what matters most to our souls? Maybe you are thinking “I like to be busy - it’s fun and I am doing all sorts of good things.” Consider, on the other hand, that you are so busy doing GOOD things that you may be missing the BEST things. Maybe you are so busy, you aren’t noticing what you are missing. 1. Take technology breaks during the day. Set a timer and every 30 minutes take one minute to walk outside, stretch, breathe or do something else that you find to help you connect back to your body. 2. Take a technology sabbatical. Set a time period where you will unplug for a longer period of time - maybe a day or a weekend....or a month? 3. Stop saying that you are “so busy.” If our thoughts create our reality...what reality are you creating? 4. Ask for help. You don’t need to do it alone. 5. Change your thinking around sleep. Sleep IS a productive and useful way to spend your time. Try to get more of it. What’s wrong with doing nothing sometimes? I think some people are secretly still relaxing, but there is shame in admitting that they put their feet up and watched Downton Abbey without simultaneously folding laundry or working. This shame and guilt just puts more pressure on us and we end up over-stressed - stressed if we are too busy and stressed when we decide it’s time to relax. Let's cut ourselves some slack! Do you need permission to relax on the couch sometimes? Or to go to sleep earlier? Or not to check your email tonight? Or to leave work early? Deb lives in Larkspur with her husband and 9 and 10 year old boys. She is a life coach who supports and guides conscientious parents as they courageously move from frustrated, worn-down, and overwhelmed to inspired, engaged, and confident. You can learn more about Deb and her work at www.inspire4life.com. If there’s one thing we all want, it’s to feel loved. We want to feel deeply connected to other people, fully seen and appreciated by them, and secure in those relationships. 1. Begin by loving yourself. Each day, look in the mirror and say out loud, "I love you unconditionally. You are perfect just as you are and the world is lucky to have you." At first this may feel uncomfortable. But just keep practicing and notice how you begin to feel. Then start to expand on the statements, being more specific about what you love about yourself. When you practice the art of loving yourself, you set an example for others around you. 2. Consider that love might look different than you visualized it. Most of us tend to have an idealized, Hollywood version of what we think love is. However, love can appear in many forms if we just open ourselves up. Each day ask to recognize and receive love in all its different forms. It might not be from the person you want to be with romantically. It might not even meet the standards and criteria you defined in your head. But that doesn’t mean it isn’t there. When a friend pushes you to reach your potential, it’s an act of love. When a stranger smiles at you on the street, that's an act of love. When a family member takes the time to listen to you, helping you form insights about your life, it’s an act of love. See and appreciate the love all around you and it will surely multiply because you’ll approach relationships--new and old-- with a sense of wholeness instead of lack. 3. Change your beliefs about the world and love. When we tell ourselves the same things over and over again, we can end up creating a self-fulfilling prophecy. If you tell yourself that people don’t care, you’ll put that energy into the world and attract evidence to back it up. If you tell yourself you’ll never experience love, you can create mental barriers and then subconsciously repel love from coming into your life. Why not tell yourself a different story? There’s an abundance of love in the world, there’s plenty of love to go around, you deserve it, and it’s surrounding you every day. 4. Give love when you're tempted to judge. Ultimately, this is how we all want to be loved: without judgment, pity, or condescension. Commit to giving this type of love--both in your existing relationships and in new ones. That doesn’t mean you shouldn’t follow your instincts when you feel unsafe around someone. It just means look below the surface, give people a chance, and in doing so create the potential for more meaningful, mutually supportive relationships. Make the conscious choice to be understanding and compassionate. While getting isn’t the intention of giving, this will likely set the stage for you to receive the same consideration in return. 5. Recognize the love you're not giving. It’s far easier to pinpoint what we’re not getting than it is to be honest with ourselves about what we’re not giving. Perhaps you want people to check in with your more frequently. Are you checking in with them? Maybe you want people to ask more about your personal life. Are you asking them about theirs? Give the type of love you want to receive. Give praise. Notice the little things. Offer help without it being asked of you. This is not to suggest that you should always be the one giving. If it feels like a constant one-way street, then it might be time to reevaluate that relationship. But in most healthy ones, giving more freely creates an environment of consideration and generosity. 6. Value the people that are there. Sometimes we get so caught up looking for romantic love that we forget to appreciate the friends and family who are always there, offering their support. You might think that friendships aren’t the same as romantic affection, but we don’t attract romantic love into our lives by focusing on what’s missing. We attract potential partners by radiating love to others around us. Take an inventory of all the people who care. There are likely far more than you realize. We all know what it’s like to feel stuck: paralyzed about a decision, unsure what choice to make, or resentment or disappointment we can’t quite recover from. Stuck in a plan that’s not working as anticipated. Stuck in a destructive, repetitive dynamic with family members, coworkers, or friends. When we’re stuck, things feel immovable, entrenched, and even hopeless. The good news is, they aren’t. Humans are actually extremely adept at seeing the same thing in new ways, discovering new insights and changing our attitudes, however we may need some tools to create that movement- just like an acupuncturist uses needles to unblock your stuck energy. Here are 7 of my favorite approaches to getting unstuck. Experiment with all to see which ones work most powerfully for you. 1. Surrender, completely. The feeling you are banging your head against a wall or that those walls are closing in signals a need for surrender. Surrendering doesn’t mean endorsing or even tolerating what is happening; it just means accepting what is. Make peace with it. Take five deep breaths, breathing in what is. And then let go. Notice what new possibilities or insights appear over the next few days. 2. Find the reasons why it’s all just perfect. Perfect? This dreadful, annoying, not-what-you-planned situation is perfect? Yup. It is. Your mind will figure out how if you point it in that direction. Say this situation is perfect because… and brainstorm five reasons. Find the truth in each of them. Now what looks different? 3. Look for the pattern. Something feeling familiar about this situation? Another jerk in authority? Another person betraying or abandoning you? Look for the pattern: When in your life have you felt this way before? That will point you towards your part in creating the situation, your own issues and side of the street. Once you are looking there, your understanding of the situation will shift. 4. Ask yourself, What would make this fun? Can you imagine what a world we could create if we asked ourselves this more often? Remember back to what you loved to do as a child- it was probably really fun. Re-connect with that hyper-passionate little kid inside and incorporate more joy into your activities. I crank the tunes and dance with my kids while making dinner to bring some fun and silliness into our daily routine. 5. Write out a day in your ideal, fantasy life. This always gets those possibility juices flowing. Write out a day, from morning to night, of the absolutely best day you could imagine. Who are you with? Where are you? What are you doing? What elements can you start to incorporate into your life today? 6. Create your dream life-visually. One of the first steps toward manifesting the life you want is to have a clear picture of what that life looks like. Instead of focusing your mind on what you don’t want, create a vision board with images, words and affirmations that represent what you do want in your ideal life. Place your vision board in a conspicuous place in your home where you will have daily inspiration to take action steps towards a new path. 7. Take care of yourself. In difficult situations, we typically focus on how they (those other crazy people) should be different, how they are wrong. Bring your attention back to yourself. What do you need to do to take care of you? What do you need to protect your sanity, act in alignment, and be the happy camper you want to be? Take care of your needs, and watch your relationship to the situation change. On that note, get regular acupuncture treatments to help your mind and body flow in balance. One of my favorite quotes (among many) by Eleanor Roosevelt is “Do one thing every day that scares you." Do you live this way? Throwing caution to the wind--branching out--taking risks--trying new things--facing your fears? Perhaps, but not likely. We humans are creatures of habit and tend to avoid our fears by sticking with routines - some which serve us, other that don’t. Many of your ongoing health concerns- mental and physical- may be the direct result of playing it safe. By this I mean that continuing old patterns in your diet, exercise, relationships and other daily routines have inherent flaws that can sabotage your wellness- and happiness. Eating different foods is a great example. Many of us reach for the habitual carbohydrate and caffeinated breakfast – which usually leaves you hungry and tired around 10 am, right? But when you replace that bagel and coffee each morning with something non-traditional and healthier…like grilled salmon, quinoa or a kale protein smoothie…you feel fantastic and maintain steadier energy levels throughout the day. Yes, it can take more time planning and preparing -but not if you eat leftovers! Try to modify your exercise routine. Sticking with only one type of exercise, one class, one instructor may be what you need initially to jump start a healthy lifestyle, but it moves your mind and body in only one direction. Try new and even sometimes uncomfortable ways of gaining strength, flexibility and a svelte body. If you’re a avid cyclist- take a yin yoga class to unwind, stretch and deeply breathe. If you’re a devote yogi- try expanding your talent and face your fears one day at a rock climbing gym. And if you hate exercising, a hip-hop class at the dance studio might be just what you need to shape up and liven up. Don't worry about looking uncoordinated or goofy doing something outside your comfort zone...that's part of the process of growth and expansion! Bold communication in relationships is another way to face your fears. How many of us are holding grudges and keeping our opinions and offerings to ourselves, in order to “not rock the boat”– and yet that boat is already in full tilt? If your personal, family or work relationships are not what you'd like them to be, try talking more openly and honestly with others- with compassion- about your needs. They key is to focus on what you want- and not what you don’t want. Take more risks, ask for help, and you’ll be amazed at what you can manifest. So in honor of Halloween, face your ghosts and fears and do something today that frightens you. Then tell me about it at your next acupuncture treatment! Many ask us how a needle inserted into one body part can stop pain in another area and heal the body. Some think it must be a placebo effect or “all in your head”. However numerous clinical studies have shown that acupuncture affects the body in measurable, scientific ways — reducing blood pressure and inflammation, for example, and increasing the circulation of endorphins- our body’s own natural pain-relieving chemicals. Scientists have identified many of the physiological mechanisms at work, and there's evidence that the insertion of needles into designated acupuncture points speeds the conduction of electromagnetic signals within the body. These signals may increase the flow of hormones and other pain-relieving chemicals, as well as immune system cells, which aid healing. So the next time you or a friend is in pain, think acupuncture! Hops. The hops flower, which has been used in Western herbal traditions for inducing relaxation and sleep (and making beer), seems to have significant potential for pain relief that rivals some medications, and with fewer side effects. Capsaicin. Derived from hot chile peppers, topical capsaicin may be useful for some people in relieving pain. Capsaicin works by depleting substance P, a compound that conveys the pain sensation from the peripheral to the central nervous system. Ginger. Ginger extract may help with joint and muscle pain because it contains phytochemicals which help stop inflammation. Few side effects have been linked to ginger when taken in small doses. Feverfew. Feverfew has been used for centuries to treat heatdaches, stomachaches, and toothaches. Nowadays it's also used for migraines and rheumatoid arthritis. Pregnant women should avoid this remedy. Turmeric. This spice is used to relieve arthritis pain and heartburn. It contains a chemical called curcumin, which has anti-inflammatory properties. Turmeric is usually safe to use, but high doses or long-term use may cause indigestion. Also, people with gallbladder disease should avoid using turmeric. 25% Off retail price of $256. You pay $192. Are you ready for improved digestion, mood and sleep? Cleansing helps to rid the body of toxins in order to promote general health and well-being. The 10-Day Bio Detox Cleanse is a unique physician grade program designed to restore balance to the body by 1) Reducing inflammation 2) Metabolic Cleansing and 3) Regeneration and Repair. No Gluten–eat brown rice, millet, quinoa, amaranth. Focus on small amounts of unprocessed whole grains instead of gluten free breads which can be full of sugar and fat. Plan ahead. Look at your calendar and block out 10-12 days for your cleanse where you do not have social or work commitments that involve eating out. 3-4 days before your cleanse, begin to limit or eliminate gluten, dairy, sugar, alcohol, caffeine, soy and corn. Find a cleansing buddy. Cleansing with a friend can give you support and help keep you accountable. Acupuncture. Receiving an acupuncture treatment can help support your body’s detoxification process by improving digesting, reducing stress and cravings and supporting the liver. Set a post cleanse goal. Have a plan for after your cleanse. Are you going to continue eliminating or limiting inflammatory foods? The cleanse is simple, easy to use, and effective. To order, call Biotics Research at (800) 231-5777. Please use the customer account number 05-TD7896 when ordering to receive 25% off retail prices. If you’re sensitive to dairy, request the Rice Protein Kit (not whey protien). Do you want more harmony and balance in your life? Desire better health? Are you frustrated in your relationships? Do you wish money weren’t such a struggle? Most of us are nodding our heads YES! Believe it or not, the inability to have what you are seeking in life could be partially due to negative energies in your home or work environment. This energy can be shifted and improved through a practice called Feng Shui. Feng Shui (pronounced fong schway) is the ancient Chinese art and science of placement that is over 4000 years old. It is a very useful method of understanding how our home and work environments directly affect our physical, emotional, and spiritual well-being. Feng Shui is one of the Eight Branches in Traditional Chinese Medicine and shares the same basic principles as acupuncture. It works in a similar way to help qi (invisible energy) move more freely throughout a space to create greater balance, harmony, and allowing for new possibilities to appear in a person's life. Classical feng shui takes into consideration the physical aspects of an environment (geography, direction, form) within the context of time (cycles of nature, astrology) to determine adjustments that maximize the potential for each individual space and person. ~To activate energy in your wealth and money area of your home, place art or objects that express what wealth means to you, like photos of what you wish to attain, gold coins or statues, or money in a red envelope. ~To improve energy in your love and marriage section of your home look first to your bedroom and make sure all objects in the room represent what you want for your relationship. Images of happy couples, red candles and pairs of objects can enhance the intention for more love in your life. I have successfully used Feng Shui principles in each living space I have moved into. Recently, we had a consultation here at TCA by one of our very own community members. Have you noticed a few changes in our treatment rooms? Feel a different energy in the office? There are many books, websites and Feng Shui consultants available to help guide you through the process. We personally like our very own TCA client Lauren Dyer. For more information about feng shui or to schedule a consultation, contact her at designwithfengshui@gmail.com. For many of my acupuncture patients, especially those who have weak thyroid and adrenal conditions, I recommend switching from their daily coffee routine to tea. When choosing a beverage you consume once or even multiple times each day, the energetics of tea and coffee are important to understand--in other words, the internal effect each has on your body. In Chinese Medicine we understand coffee to be more Yang. It’s internally warming and it disperses and scatters energy (or Qi) in the body. Coffee consumption causes the kidney’s adrenal glands to release adrenalin, producing a temporary increased energy high, but eventually a down-cycle of fatigue later in the day. Over time, excess coffee can over-work and deplete your adrenal energy, or Kidney Jing as we acupuncturists call it. I like to describe this as borrowing money from a bank account (your adrenals) daily without making any new deposits. Pretty soon, you’re experiencing major debt (adrenal burnout). Coffee is also a diuretic, and diaphoretic, causing the body to lose excess fluids or Yin, and can create symptoms like night sweats, hot flashes and urinary dysfunction. The energy of tea, on the other hand is more Yin. It is cooling and astringent by nature. Tea can help consolidate energy in the body rather than scattering it. When you drink caffeinated tea you will typically experience increased energy, but a smoother, more even-keeled flow without the highs and lows. I find that drinking tea during the day gives me the level of alertness I’m seeking without the racy feeling or late afternoon crash of coffee. The Chinese believe that Puer tea has greater health benefits than other teas. Puer tea goes through a special fermentation process that makes it very beneficial to the digestive system, or Spleen as we describe it in Chinese Medicine. Many people in our culture have very weak digestion and excess weight and it has everything to do with food and drink that create “internal dampness” in the body. In Chinese medicine, “dampness” refers to the build up of negative, sluggish energy in the body that results from consuming excessive processed foods, sugars, dairy, alcohol and other substances that slow down digestion and nutrient assimilation. Pu-er tea has the ability to reduce this internal dampness by invigorating the Spleen and the Stomach to work in harmony, aiding proper digestion and elimination. It is often used medicinally to lower cholesterol, remove toxins from the body, cure dysentery, induce weight loss, improve eyesight and promote blood circulation. I have found Pure Puer Tea to be of the highest quality and smoothest taste, and this is why I carry it in my clinics, Bay Acupuncture Center and Tamalpais Community Acupuncture in Mill Valley, CA. My patients I have introduced to Pure Puer Tea all agree they have never felt better and don’t even miss their coffee!